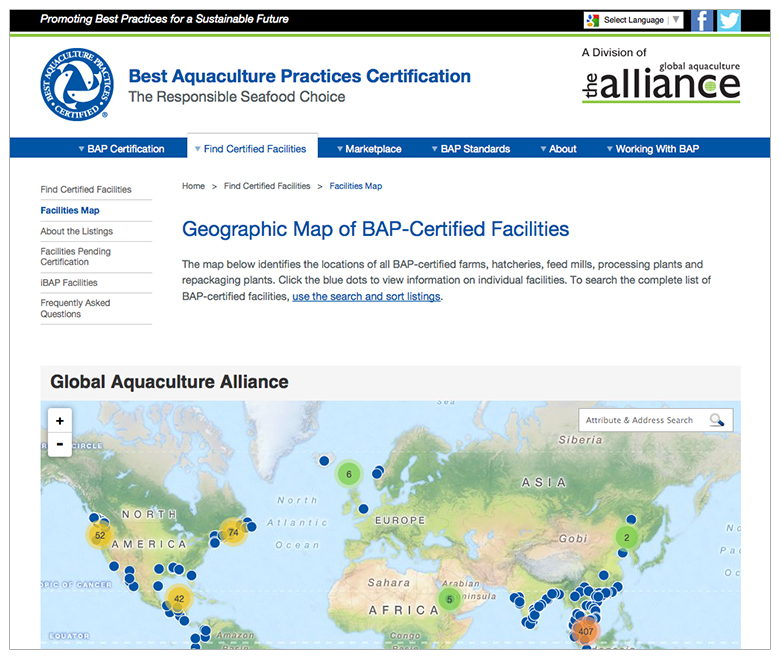 The Best Aquaculture Practices is a certification program run by the Global Aquaculture Alliance. The web site needed to be visually connected to the GAA web site, but the functionality and drive for information was more defined. We developed three core functions that helped deliver critical data to web site users. 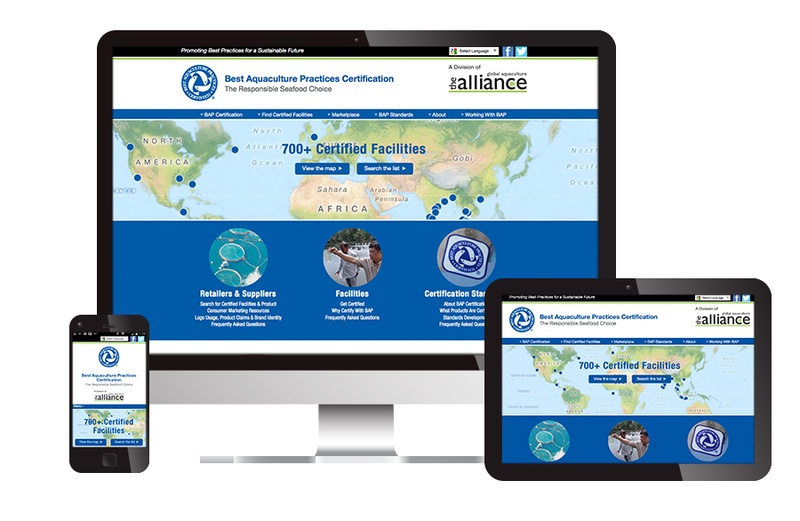 For retail buyers who were looking for certified facilities we developed a search & sort function to easily review and find the 800+ certified facilities based on certification level, location and species. Additionally, we created a geo-based listings that use intuitive maps. 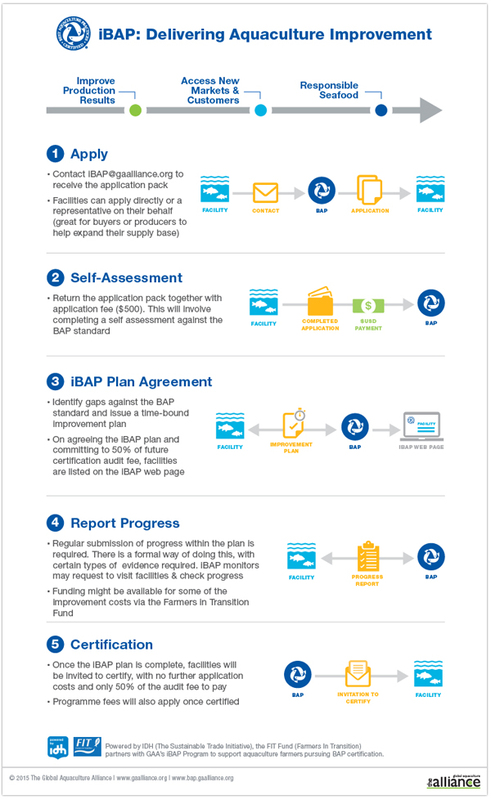 Finally, for facilities wanting to get certified, we improved the organization of information and created key graphics highlighting the process to assist non-native English speakers. 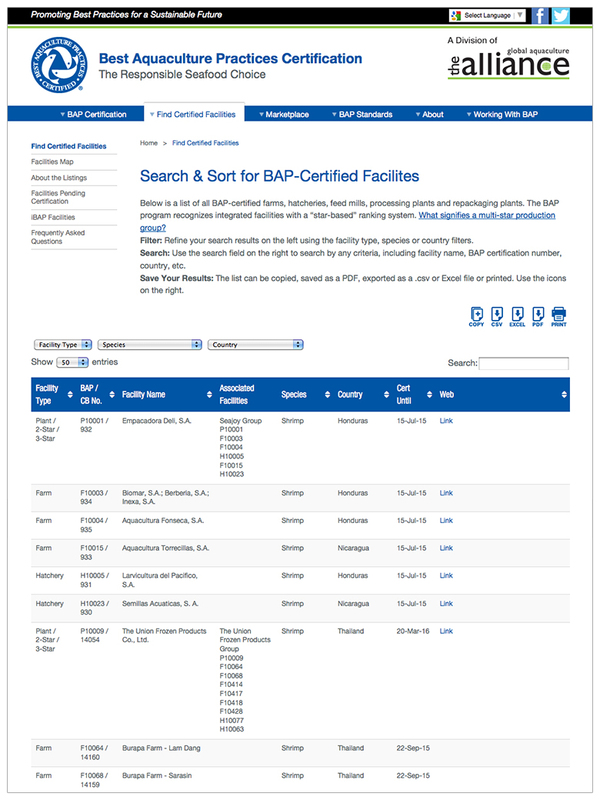 World map and search tool to find facilities based on geo-location.